This is a historic listing of vehicles owned and operated by Joyce Valley Link - Urunga. Livery: Initially white roof, orange/red body. Joyces Bus Service was owned by three brothers George, Jim and Ken Joyce. The company gradually consolidated its operating area by taking over small bus operators dating back to the 1930s, when Bellingen relied on Urunga rail and Raleigh rail for most of its freight. 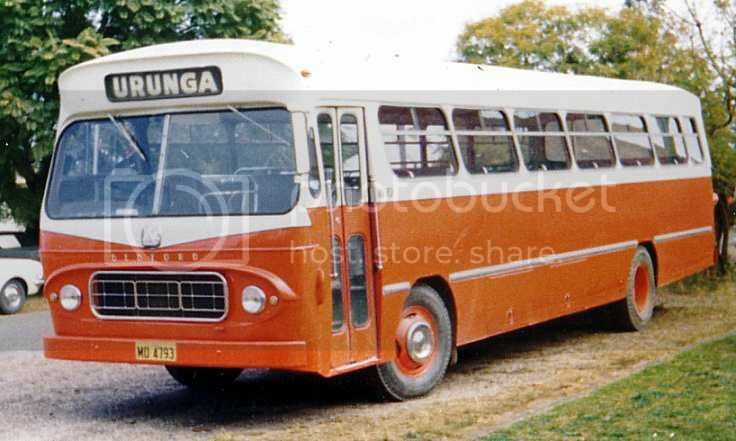 According to long time resident of the area, Mackie Sonter, his father-in-law Billy Bennett started the Bellingen to Urunga bus service in 1939. After losing his son Keith in the Second World War, Billy divested of his interests in the town, which also included a garage and taxi business. The bus run passed to Keith Dark until about 1946, when it was sold to George Hardy, who�s wife was a cousin to the father of the Joyces. In 1953 Frank Mitchell took over the service. Bellingen High School was opened shortly afterward, providing an alternate option to pupils in the Urunga area, who up until that point had caught the school train to Coffs Harbour High School. The carriage of high school students to Bellingen did not suit Mitchell�s schedule, which was designed to meet the North Coast Mail train. This gave Harry Joyce, uncle of the final owners, the opportunity to commence the service. 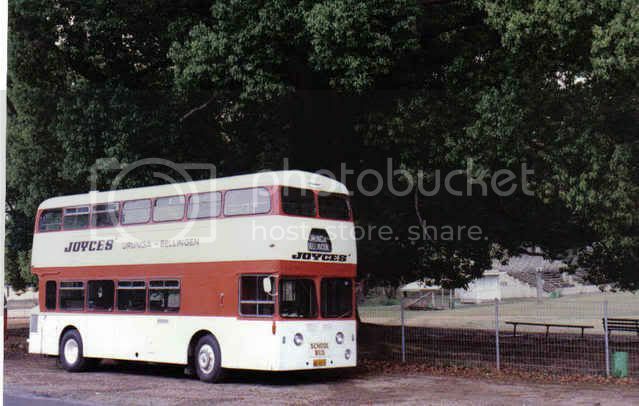 To start the run, Joyce sold his school run between Thora and Bellingen to his cousin Clarrie Joyce and purchased a Reo bus from Carl Tattam�s Raleigh to Dorrigo Bus Service to operate on the Urunga to Bellingen school route. Joyces MO 4210 Leyland Atlantean / Metro Cammell imported ex Ribble, UK - Stefan Indyka. The advent of free school travel, the partial closure of the convent school at Urunga and the closure of Fernmount Public School (about two thirds of the way to Bellingen) saw the need arise for additional space on the buses. A deal was struck between Frank Mitchell and Harry Joyce in which Mitchell transported all Primary children, which worked in with his train commitments, while Joyce transported all High students. This led to three buses on the same route with two different operators. Harry Joyce subsequently sold his run to his brother Terry Joyce, father of the final owners. Mitchell sold his run to Potter of Urunga, who in turn sold it to MN Hindmarsh of Urunga, who in 1971 sold it to Terry Joyce with a brand new 46-seat Austin FJK school bus, MO 5523. Joyce's Bus Co. was incorporated as Syoti Pty Ltd (registered 28/6/79) and the Bellingen to Hungry Head service was transferred to the company on 28 June 1979. George Joyce was the managing director. Joyces MO 4793 Bedford VAM70 / PMC (1968) - Ken Magor. - Urunga - Bellingen: School days only 4 return services. 1 service ex Urunga for Bellingen schools AM/PM return. 1 service ex Bellingen AM for Urunga schools AM/PM return. - Urunga - Nambucca Heads: 3 return trips school days and school holidays. The AM and PM were structed on school runs to Urunga and Nambucca Heads schools. 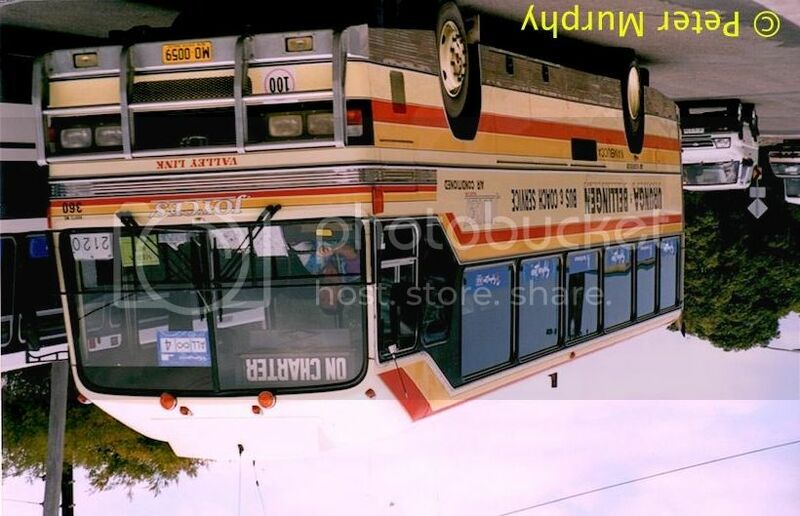 The Joyce brothers sold to the King Bros Group in December 2001 with 7 buses and the service subsequently passed to Busways North Coast Pty Ltd on 3 October 2003, following the collapse of King Bros.
Acknowledgements: Most of the historical information in this article was sourced from �Joyces Bus Service: Operators of the Urunga - Bellingen Bus Service� by George Joyce, originally published in BCA Bulletin, October 1990. Joyces MO 0059 MCA - Cat 3208t / Custom Coaches semi-coach - Peter Murphy.